Typically people think of the bathroom as being the germiest, followed by the kitchen (surprise- it’s actually the other way around). When people think of an exercise space like a fitness center or gymnasium, the impression is “healthy”. After all, that’s what it’s used for. Yet research has found as many as 25 different types of bacteria in fitness centers. Setting up a home gym will cut that number back drastically, but not entirely; there are still some risky germs lurking around there. Sure, having a home gym reduces the odds that you’ll get a cold, flu, or stomach bug- and that’s great, especially when combined with a healthy diet and supplementation. But all of the surfaces in your gym are a breeding ground for bacteria. Benches, the handle bars of stationary bikes or treadmills, the grips on free weights, and literally anything you sit or lay on while working up a sweat, can all harbor bacteria. The floor along with any exercise mats can also be a haven for bacteria, but that certainly doesn’t have to be the case – it’s easy to remedy. Surface areas like gym mats are easy to keep clean with a simple wipe-down. In fact, it’s recommended that you place mats down especially over carpeted areas especially for that reason. 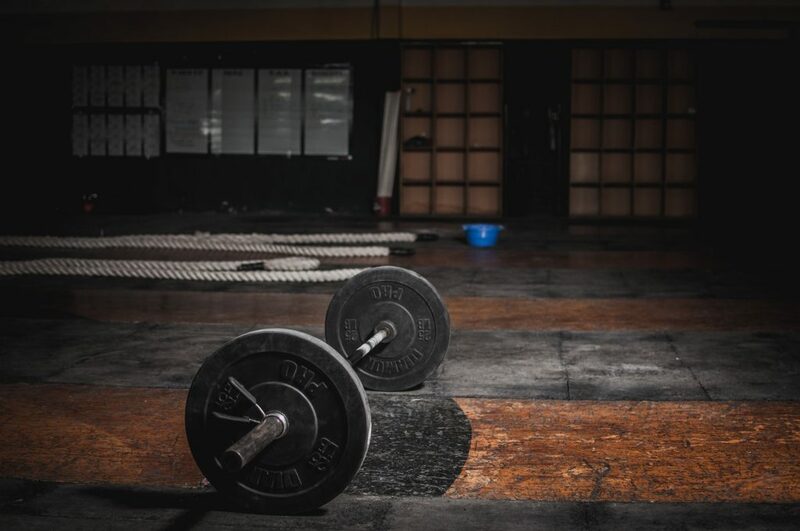 The bacteria that is likely building up in your gym is the contact-based variety (not airborne illness), the most common of which is staph or MRSA. While it’s the most common, it also poses the highest threat. Most of the time, you come into contact with this bacteria without even knowing, because it doesn’t often doesn’t cause any issue. In fact, many people have a form of staph bacteria present on the surface of their skin. Small cuts, scrapes, knicks, and any type of open wound allow the bacteria to get inside the skin, thus inside the body, and this is where things can become troublesome. Once it’s inside your body, it becomes an active infection. This usually presents with boils on the skin near the wound, but can also present with the usual symptoms of skin infections, like itchiness, redness, and swelling. To eliminate contact bacteria in your home gym, wipe down any equipment, mats, and benches with sanitizing wipes (like Clorox wipes) or an all-purpose anti-bacterial spray and dry wash cloth. You should wipe down anything you’re about to use before you use it, and immediately after you’ve been in contact with it. Cleaning it right after use kills bacteria right away so it doesn’t have a chance to grow, and doing so right before use is an extra precaution – just in case you forgot, or some of the buggers got away the first time. Fungi is another little monster that might be hanging about. Fungi typically invade areas that are dark and wet, like gym bags, gym clothes left in a hamper, and inside sweaty shoes. This is what causes conditions like athlete’s foot. This is a pretty easy thing to avoid, though. Simply be sure to wash and dry your gym clothes, don’t re-wear dirty socks, and keep things dry. A home gym is a great way to save time, money, and stay in good shape. It’s convenient and economic, plus you’re in control of the environment so you can feel more comfortable and do as you please. Just because it’s your personal gym, though, doesn’t mean it doesn’t need a bit of maintenance. Keep your gym in good condition. After all, that’s what it does for you!